Home » Slime Recipes » How to Fix Hard Slime & Make Overactivated Slime Jiggly Again! No more slime fails! How to fix hard slime in minutes with one simple ingredient. How to Fix Slime – Fast! You’ve found a new slime recipe. You bought all the ingredients. Don’t worry, slime fails happen to all of us! However, even if your slime didn’t turn out the way you expected, you can fix it a lot easier than you might think. Can I Fix Overactivated Slime? One of the most common slime fails is overactivated slime. The term “over activated” means that you’ve added too much of a slime activator (liquid starch, contact solution, borax, etc.). This results in a slime that is hard, rubbery, stringy, and breaks easily. 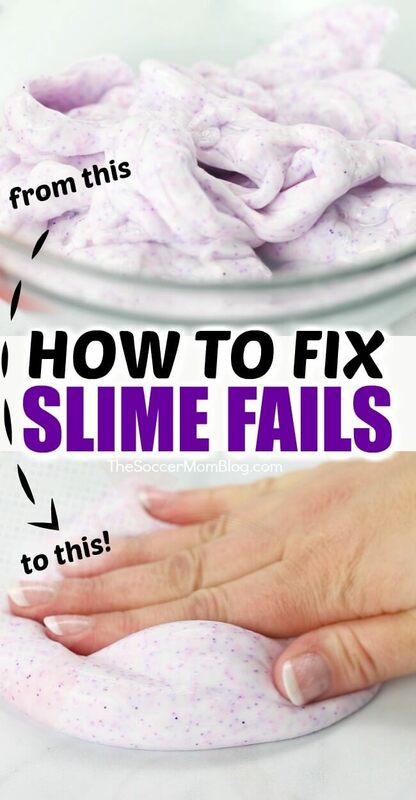 This post will show you exactly how to fix hard slime (aka. over-activated slime) in minutes. 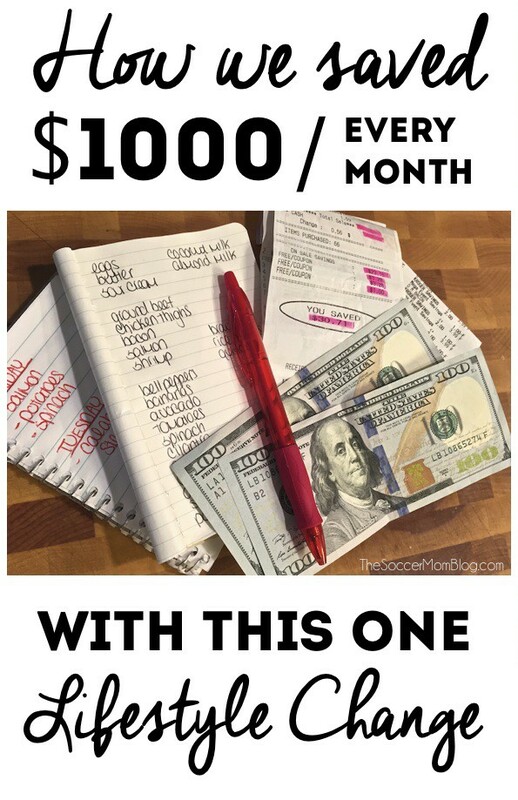 The best part is that you don’t need any special products to do it! 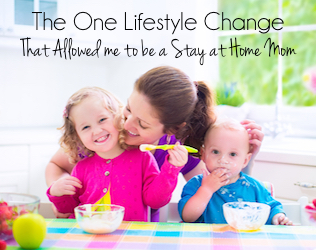 Just one simple ingredient that everyone has at home! This cool trick will make any hard, rubbery slime good as new again! Watch the video below to see both how to make our classic liquid starch slime, as well as how to fix overactivated slime. 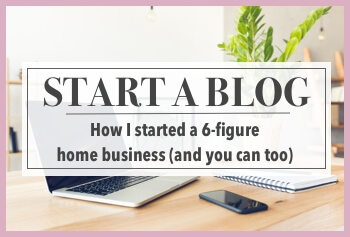 Photo step-by-step directions follow. 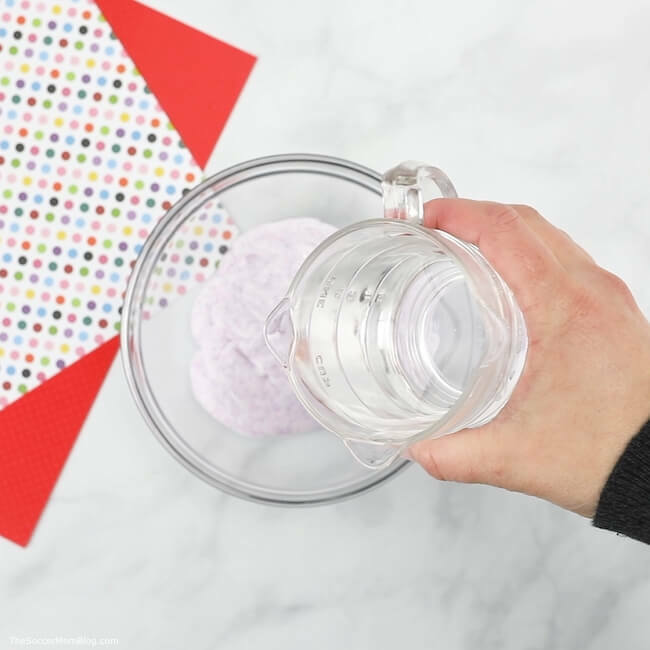 Add your stringy slime or overactivated slime to a large mixing bowl. Add warm water to mixing bowl with overactivated slime. Begin to massage the slime, working the warm water into it. Add more water as needed, until your hard or broken slime begins to soften and reform a cohesive ball. 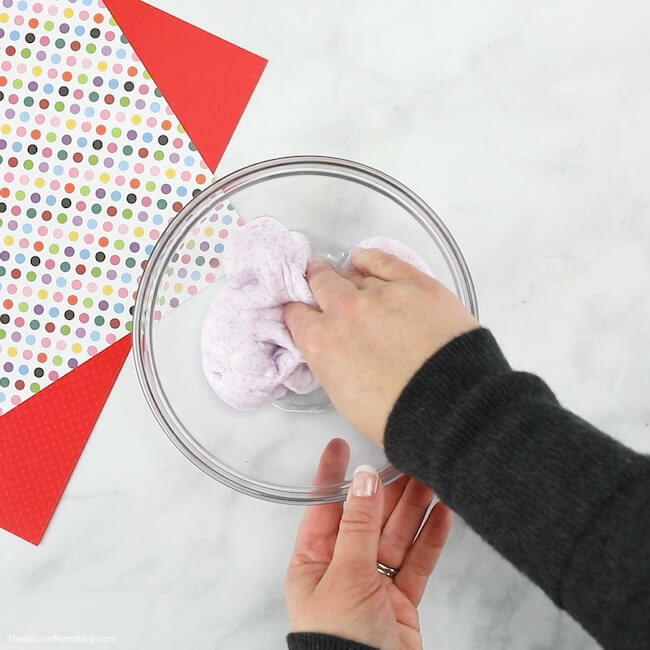 It may take a few minutes – but be patient – this is how to make overactivated slime into jiggly slime! 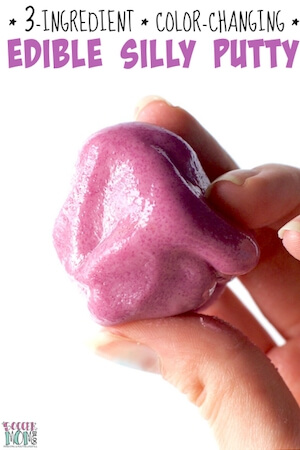 After just a few minutes and some warm water, your slime will be good as new! Voila! Related: Click here for our ultimate list of slime supplies! Why this method works: Making slime involves a chemical reaction that heats the slime (even if doesn’t feel hot to the touch). As slime cools down, it can become less stretchy, so warming it back up can be a quick fix. However, the best way to avoid slime that is too hard is to take care not to add more liquid starch than needed during the mixing process. 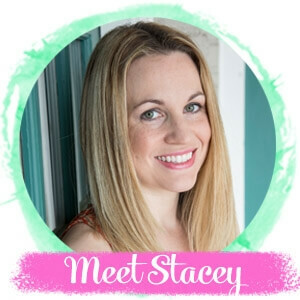 One of the best ways to avoid slime fails is to learn to master the basic slime recipes: liquid starch slime, cornstarch slime, and contact solution slime. 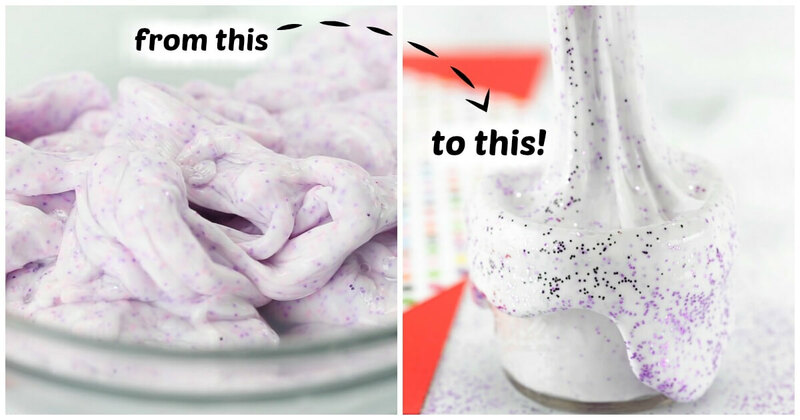 Once you have these three easy ways to make slime down pat, you can move on to making exciting new slime concoctions! 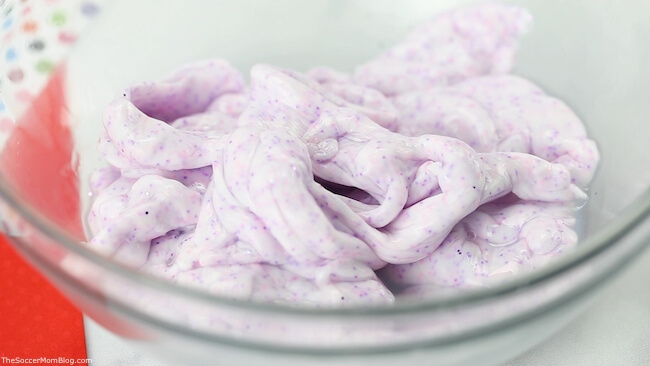 Click here to learn how to make slime using our three starter recipes! Love Slime as Much as We Do?? Get 100 pages of slime recipes in our BRAND NEW updated edition of The Slime Book! Available in both print and digital versions! From seasonal & holiday slime, to glow-in-the-dark slime, there’s 43 recipes for hours of play! Many of them are brand new and never published! 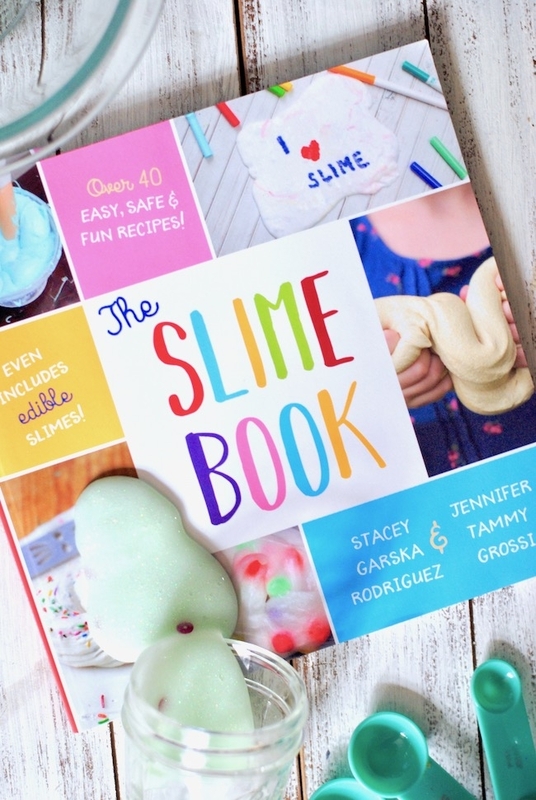 CLICK HERE to grab your copy of The Slime Book today!